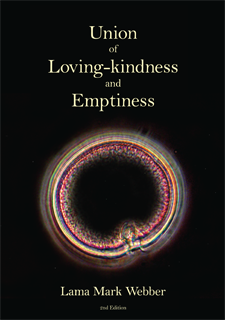 Follow the link to read an excerpt from the 2nd edition of Union of Loving-kindness and Emptiness. Copies of this book can be ordered by email via namgyalgompa (at) yahoo.ca for $20 plus shipping and handling. For Canada please add $5 per book for shipping and handling. Please ask about all other destinations. 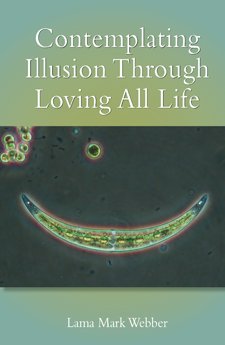 Click here to read an excerpt from Contemplating Illusion Through Loving All Life. Copies of this book can be ordered by email via namgyalgompa (at) yahoo.ca for $15 plus shipping and handling. For Canada please add $5 per book for shipping and handling. Please ask about all other destinations. Copies of this book can be ordered by email via namgyalgompa (at) yahoo.ca for $5 plus shipping and handling. For Canada please add $5 per book for shipping and handling. Please ask about all other destinations. “A clear, inspiring book on the very heart of meditation and the glorious nature of the uncontrived mind. Why Meditate? first emphasizes that all meditation is ultimately for the release from suffering and dissatisfaction, then it conveus a vast view of meditation – including important teaching on the cultivation of calm and insight. It also gives helpful advice on how to become free of repetitive struggles and open to the transcendental and the joyous activity of spiritual discovery. Mark’s refreshing often poetic approach and thought-provoking questions sweep away cobwebs about the spiritual life so that the natural factors of bliss, clarity, spaciousness and nonseparation can be effortlessly experienced and cultivated. joy to read and contemplate, it follows in the Buddhist tradition of the teachings of Mahamudra, the “Great Seal of Voidness” – the finder pointing directly to the ultimate nature of mind and phenomena. Copies of this book can be ordered through Bodhi Publishing. Click on the link for ‘ Books by Other Authors’. Microfaris is currently out of print.